The Gibraltar Federation of Small Businesses held its annual general meeting on Thursday 21st February. Its conference room at its Irish Town office suite was full to capacity for this year’s AGM, testament both to the increasing numbers of members and the growing participative nature of the Federation in recent years. 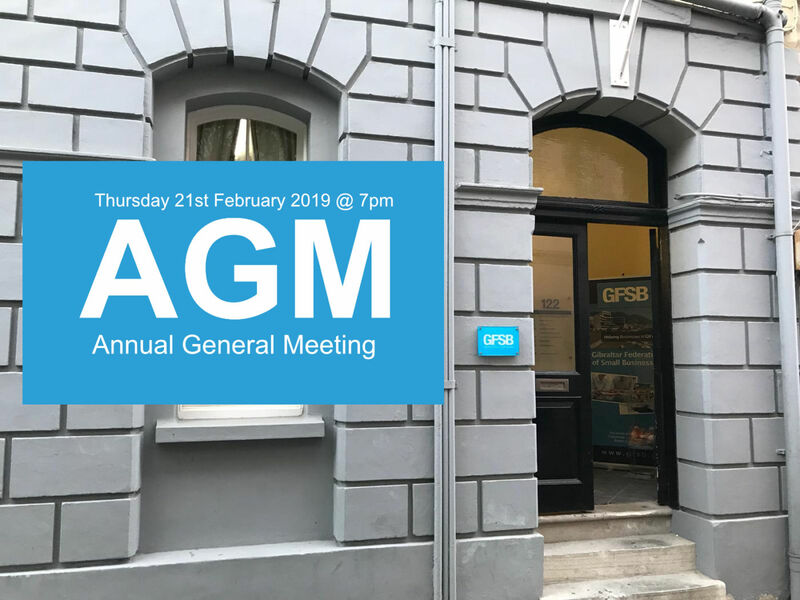 In his report to members, GFSB Chairman, Julian Byrne, reviewed the Federation’s activities and achievements of the previous year. Reflecting on the presentation of a healthy set of accounts by Federation Treasurer, Daniel Delgado. Mr Byrne emphasised that as a non-profit making organisation, the GFSB continuously sought ways of re-investing surplus funds for the benefit of the membership. During the past year, this work has included a full review of Gibraltar’s retail offering in Main Street, investing in updated technology and a new website, and developing further training and events. 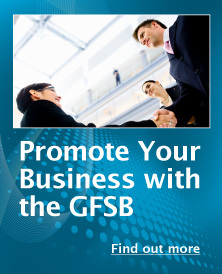 Further opportunities for networking and learning are offered by the GFSB’s Breakfast Clubs. These have been ongoing for a few years and have become increasingly popular, with themes and speakers selected for their topicality and as a response to suggestions from members. This past year, Breakfast Clubs have addressed issues such as employment law, health and safety, tax issues and the tourism industry, just to mention a few. These useful seminars will continue during the course of next year. The biggest current issue that has been looked at closely over the past year and continues to be a concern to members is Brexit and the continuing uncertainty of not having an outcome determined with just some 40 days to go the withdrawal from EU. The GFSB is, on the whole, optimistic that Gibraltar, already outside the Customs Union, is well placed to handle issues associated with importation and exportation of goods that might arise from a No Deal Brexit. However, members considered that it would be prudent to plan as much as was possible, to consider how importation of goods direct from UK might be affected by any problems that the UK itself might experience and to keep in mind possible political changes in Spain as a result of the Spanish elections due in April. This year’s meeting featured discussion on two major issues that the GFSB will be addressing in the year ahead. The first of these is the incorporation of Women in Business as part of the Federation, which was agreed at an Extraordinary General Meeting earlier in the month. This will involve some constitutional changes and it is expected will bring to the Federation the opportunity to work with the local business community to increase inclusivity. The GFSB is also involved in the development of a Business Improvement District based on and around Main Street, itself one of the major outcomes of the Federation’s Main Street Review that was undertaken last year. This will create a team that will find ways of improving Main Street based on some of the ideas that were generated during the Review. With Main Street a focal point for so many businesses as well as for the local community and visitors to Gibraltar, this was considered an essential move to continue to develop and improve Gibraltar’s overall economy. New members were then elected to the GFSB Board, with thanks being proffered to outgoing members, Lianne (Azzopardi) Garcia, Michael Borge and Kamlesh Khubchand. This year, Janet Brear, Brenda Cuby, Rachelle King, Rosana Olivares and Fiona Young will add their energy, enthusiasm and expertise to the GFSB.